Note: all the non-percussive sounds in the audio demo come from Hexagon Sky and Suntron. Compatible with all major DAWs! Compatible with Windows 7 and up or macOS High Sierra and up. The plugin requires 500 MB of HD space. Windows VST plugins in both 32-bit and 64-bit format. Windows VST3 in 64-bit only. macOS High Sierra and up VST, VST3 and AU plugins format (compatible with both 32-bit and 64-bit systems). 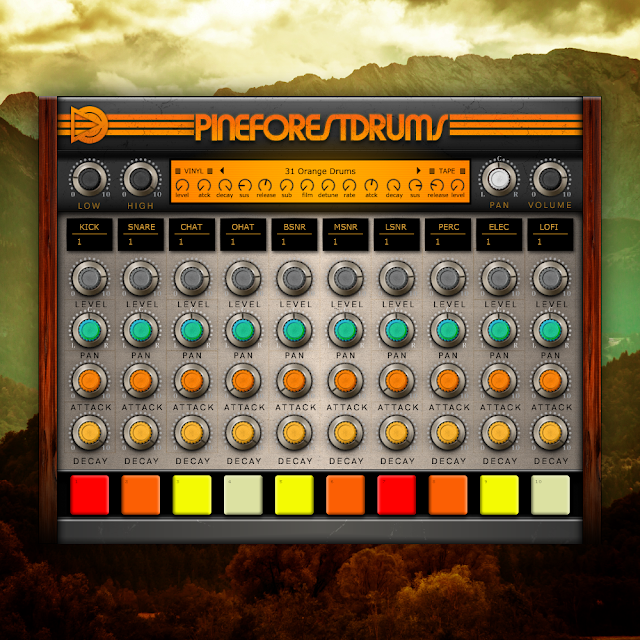 24-bit WAV files of the percussive sounds included. Compatible with the most popular DAWs on the market: Ableton Live, Cockos Reaper, Steinberg Cubase, FL Studio, Traktion, Mixcraft, Sony Acid, Presonus Studio One, Cakewalk Sonar, and Apple's Logic Pro.